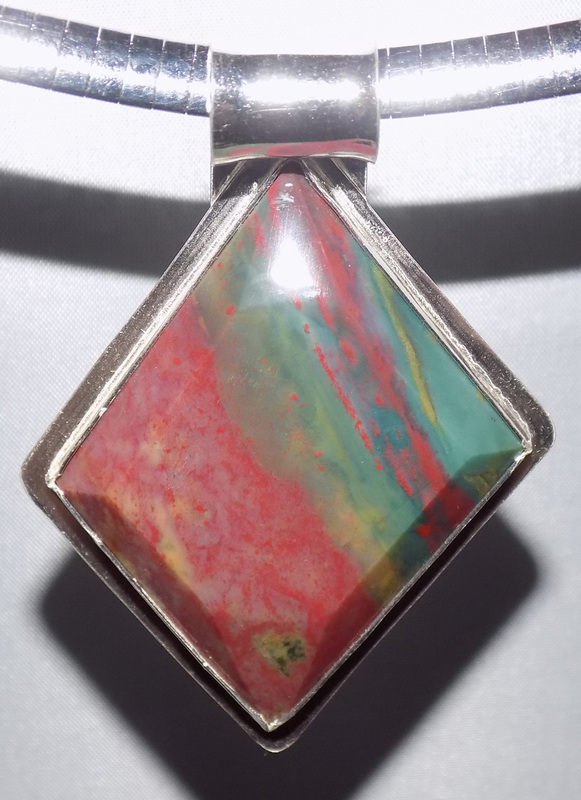 This striking Bloodstone pendant really shows why the stone had blood in its name. Look at the intense reds within the stone. The unique diamond-shaped stone is wrapped in a Sterling Silver bezel. The wide silver collar is for display. This pendant comes with an 18″ popcorn Sterling Silver chain. This beautiful Bloodstone and Sterling Silver pendant is approximately 2 3/8″ tall, including bail, and 1 3/4″ wide. The necklace includes an 18″ popcorn Sterling Silver Chain.